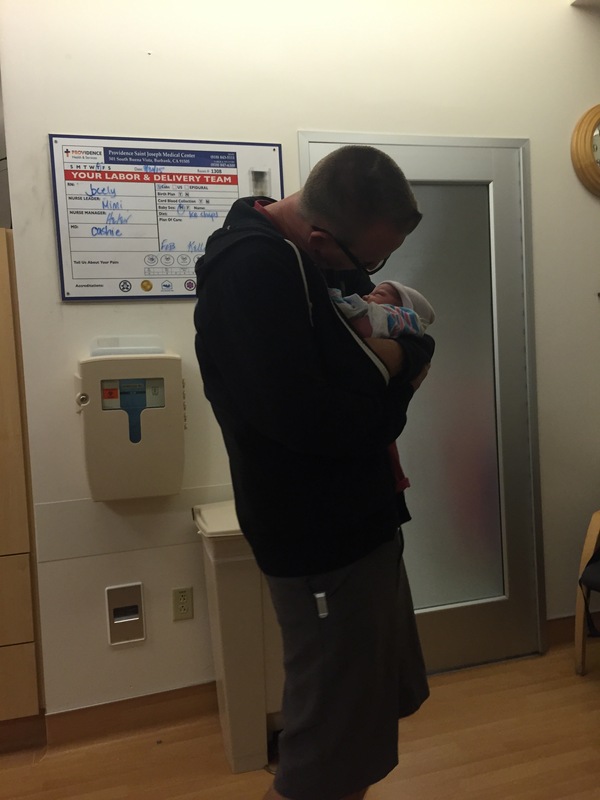 So I wrote about Riley’s birth, and found it helpful to look back on. We don’t plan to have any more kids, but I figured Charly needs a record of his birth too…It’s a long one. For my 40 week appointment I arranged a babysitter to stay home with Riley. He’s been going to all my appointments lately, but I knew I might have to do a Non-Stress Test, and I didn’t need him lapping the room while I was doing that. My OB came in and was like, “why are you still pregnant? !” Um. Sorry? She was also concerned because for the first time ever my blood pressure was high. It’s never been high. We both couldn’t believe I had made it to my due date, and after my exam I was still at 1.5cm and 50%. I asked her to strip my membranes – not as terrible as I remember with Riley, but still unpleasant. That took me to 2.5 – 3cm. 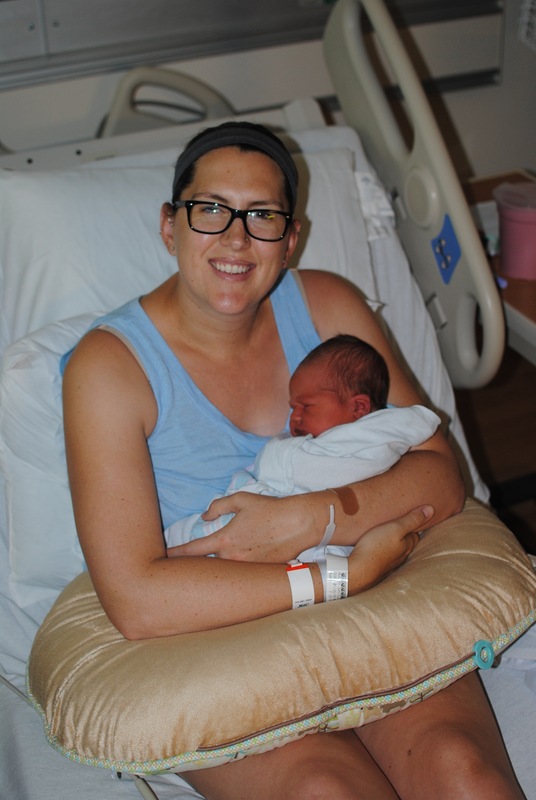 We talked about preeclampsia and the risks of continuing on with my pregnancy. She would give me until 7:00pm that night for labor to start naturally. Otherwise – I needed to check into the hospital to be induced. 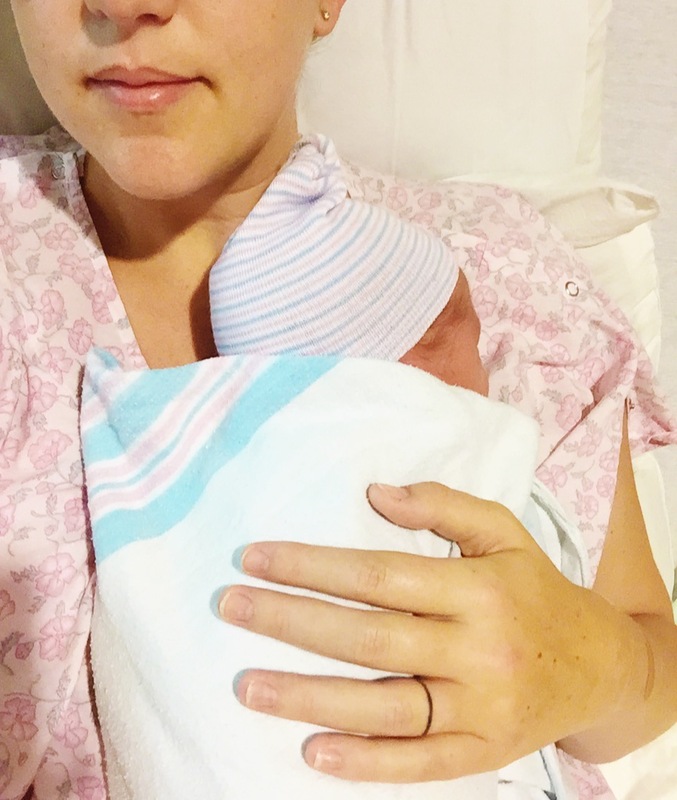 I wasn’t super stoked on the idea – I worried my body would react badly to the Pitocin, but any pride or plans I had for my birth were going out the window. 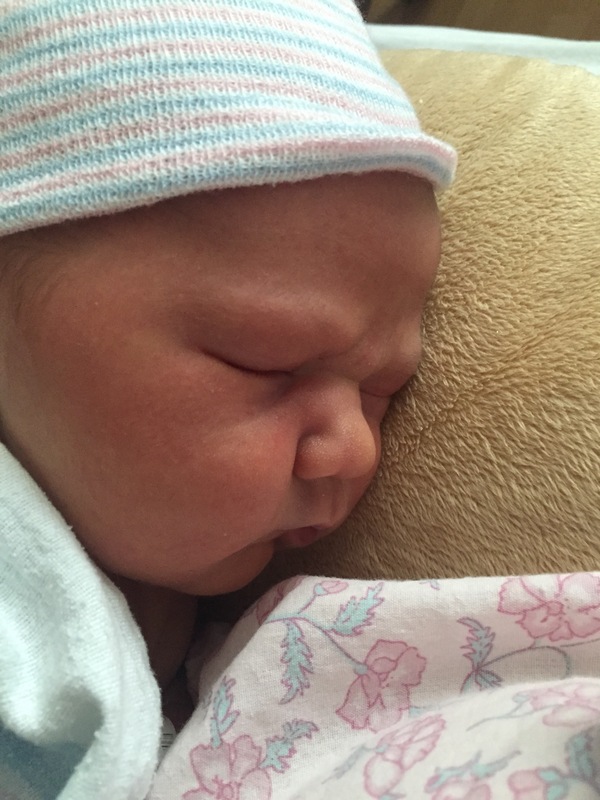 My body was done being pregnant, and it was time to have this baby. I got out of the appointment and called Kelly and then my Mom. Told them what the plan was, and that we should probably get ready. Kelly ate lunch at work and then came home for a nap. My Mom wrapped up some things at work and came out. We had planned on her staying at our house with Riley while we were in the hospital – but she suggested taking him to her house. Which ended up being a perfect plan. We loaded him up and he was off to Nonny’s house. I was having regular contractions around 18-20min apart, but nothing super special. I picked up the house a little bit, watched some TV and tried to nap, but I was too anxious and excited. Kelly picked up Poquito Mas for dinner – the same thing we had the night Riley was born. Spoiler – I didn’t throw it up this time! At 6:15pm I got up and started to get ready to leave for the hospital. We only live like 2 blocks away so I took my time. We arrived at admitting at 7:00pm and it was such a strange experience. I walked in and said, “Hi. I’m here to have a baby.” With Riley I was 3 – 4 min apart and we had to go in through ER since the main hospital entrance was closed at 3:30am. This time I walked in with a big group of pregnant couples that were at the hospital for their maternity tour. I wasn’t doubled over in pain or on the verge of throwing up. I waited as they did all my paperwork and gave me my hospital bracelets. We took the elevator up to Labor & Delivery, and then couldn’t figure out how to get the door open. Maybe we should have been escorted? Maybe I should have rode in a wheel chair? I dunno, it was strange. We found the nurses station and they said they’d been expecting me all day! I got into the room, dressed in my super fashionable gown and ready for my IVs. I got a bag of sugar water, and put on my first dose of Pitocin – 1/20. The nurse also put on the baby’s heart rate monitor, and my contraction monitor. I loathe those things. I also had to wear a blood pressure cuff so they could take my BP over and over again. Our nurse was a 40 year L&D veteran and originally from New York. She basically babysat us all night long, and would come in just as I was drifting off to sleep to reposition the baby’s monitor. Fun fact – the L&D beds are made for DELIVERY – not LABOR. The most uncomfortable beds in world. I would have been happier sitting on the floor. Beverly, our nurse, told us a story around 1:00am about the time she helped deliver a baby gorilla via c-section at the Brox Zoo in NY. Fun fact! Over the night she took my Pitocin up slowly, and I was still having regular contractions, but they weren’t strong enough. I was still talking, ha. 7:00am came, and so did our new nurse, Erin. I immediately loved her. She asked me if I’d been out of bed lately or bounced on my ball. I told her I felt like I was chained to the terrible bed and was desperate to get out. She told us she was very pro-movement during labor and wanted me up and out! She also freed me from the BP cuff! I was happily bouncing on my ball when my OB showed up a little before 8:00am. 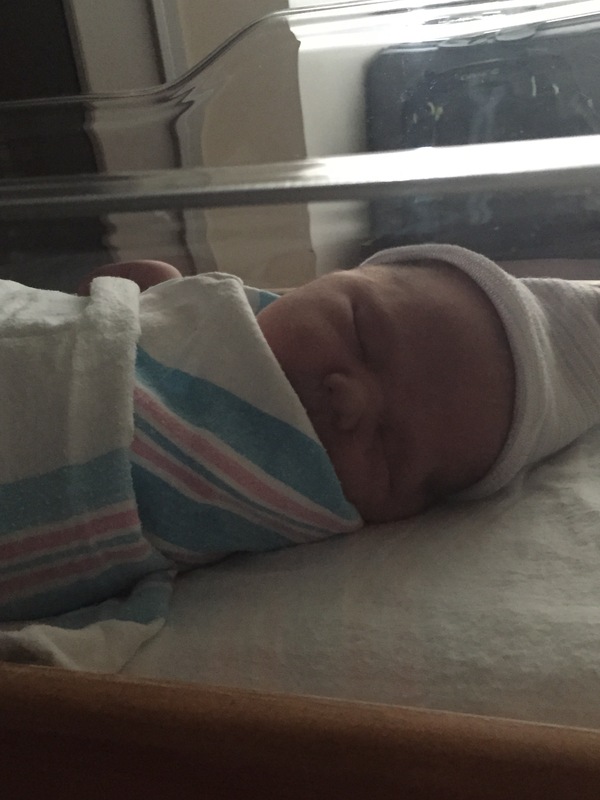 Her first words, “you were supposed to have this baby at 2:00am last night – I slept with one eye open waiting for a call.” Um. Sorry? I thought I would have had him over night too. I couldn’t believe how long it was taking. She wanted to break my water to speed things up. I was nervous that breaking my water would mean I couldn’t labor on my ball anymore and would be confined to the horrible bed again. She said if his head was low enough she would let me move around after she broke my water. We agreed. My water broke naturally with Riley, and late in labor so I don’t even really remember it. Having your water broken isn’t the most comfortable experience – but, hey labor isn’t either ;) I will say the additional fluid situation wasn’t my favorite for the next several hours. After breaking my water we were hopeful we’d have him by lunch. Spoiler: nope. 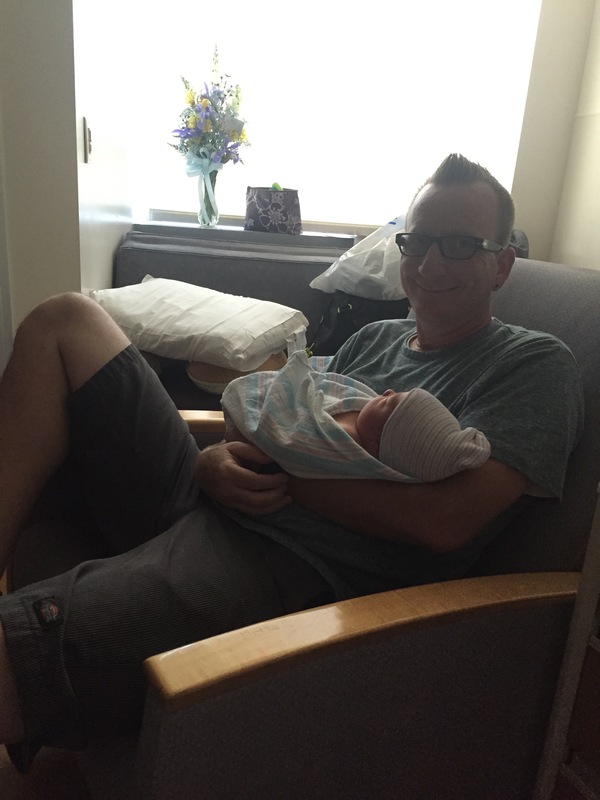 Labor started to pick up – and I did my best to rest between contractions. Kelly went to get himself lunch and it was torture watching him eat. I wanted solid food so badly! I imagined my ice chips were something delicious, sad. Erin continued to increase my Pitocin. At one point she switched my bag for a fresh one hoping it was more potent. I was around 18/20 when she said she wanted to try taking the levels up and down from 20 to see if it would get my contractions going more. I was having regular, consistent contractions 3-4 min apart, but I was still only 6cm and fully effaced. It worked because the contractions got really intense and sharp. I was really having to focus to get through each one. I know women say Pitocin contractions are more intense and I agree, I think they were much sharper than my natural contractions with Riley. My OB came in around lunch to check on me. 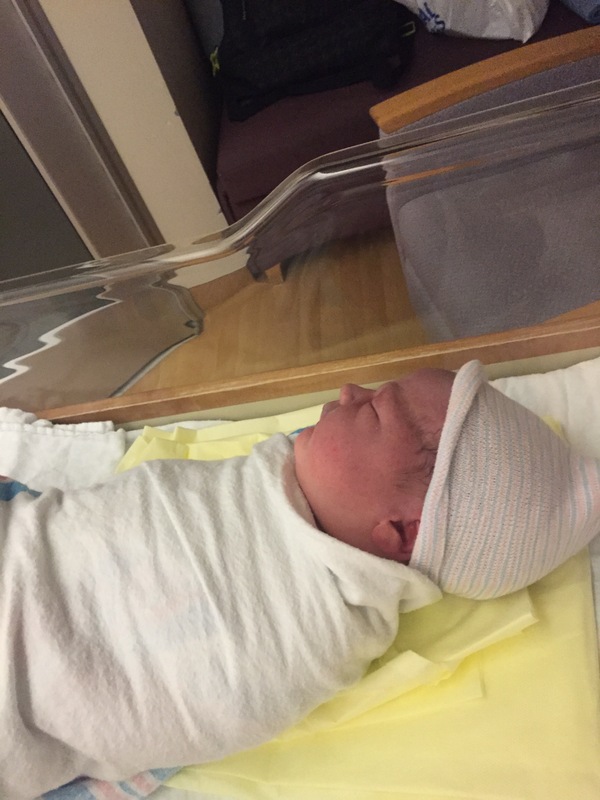 I was nervous that she was going to get antsy that I still hadn’t had him and put me on a “timeline” for an ultimatum to get him out or schedule a c-section. She said there was nothing to indicate that we needed to stop labor or change our plan. That made me feel much better. His heart rate was prefect and I was still having regular and consistent contractions. The next few hours passed slowly – and I totally had some self-doubt moments. Mostly that I just wanted to get the heck out of that room and go home. At one point I would repeat over and over in my head, during each contraction ‘down and out, baby – down and out.’ I was doing everything I could to stay relaxed, but I was losing my positive attitude. Kelly gave me a pep talk, which I cried through and I reset my focus. 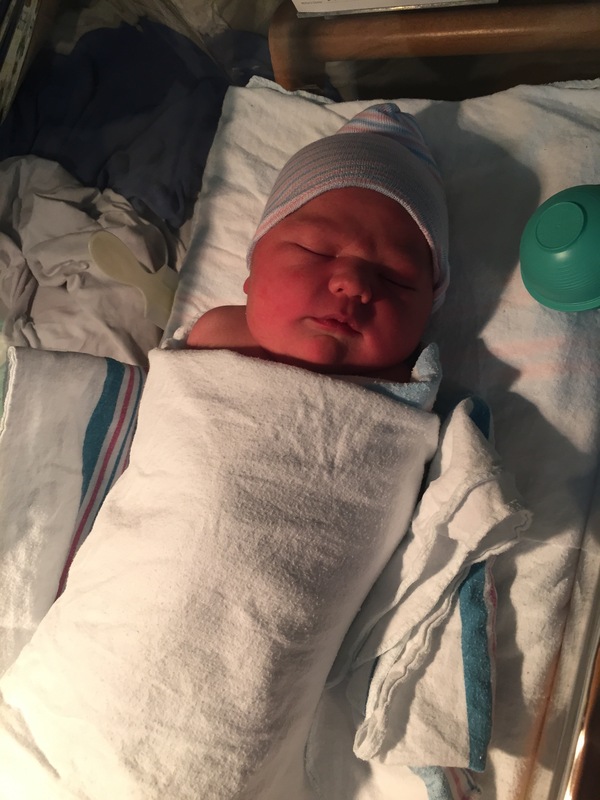 My OB arrived around 6:00pm and checked me – 8.5. Closer but I was worried I may be losing steam and energy since my labor had been so long. She suggested giving me 2ml of pain meds which would take the edge off the contractions and allow me to get some rest before I needed to push. Her and Erin both agreed I was a hero for making it this long without an epidural. 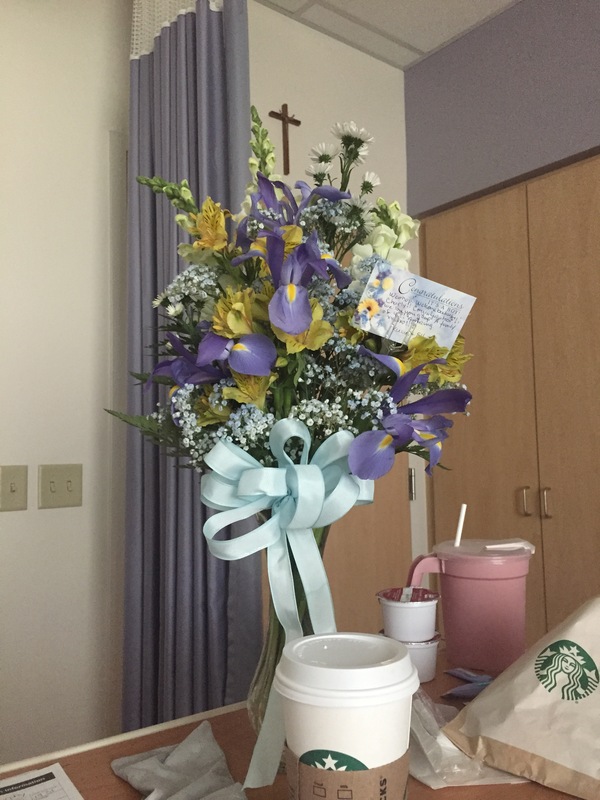 My concern with the pain medicine was if it would slow or stall out my labor – she assured me it wouldn’t, but it would make me a little loopy. She said I’d get the medicine, take a nap, wake up and it would be time to push. I agreed, since I really wanted to get to the pushing. They prepared the medicine, and waited to push it through my IV until I was having a contraction so I could tell the difference. Of course it was the longest break between contractions I’d had in hours – so everyone is standing around the bed staring at my monitor, Erin with syringe in hand. It picked up and she pushed it through and I could immediately feel it take over. I hated the feeling. My doctor left, saying she had a few errands to run, and that she’d be back in an hour or so. Kelly was hoping to leave to grab dinner and a shower since I should have been “resting.” Nope. The medicine helped me relax between contractions but they were just as painful. I would sit up in bed, reach for his hand to squeeze, yell “owwwie” through the contraction, then let go and fall back into bed when it was over, and fall asleep. It was around 7:00pm when I remember our nurse Erin was updating the new nurse on my status. I really wanted to start pushing, and hope my Dr would be back soon. I started saying “Baby out” and told Kelly I really was ready. The new nurse wanted me to focus on my breathing instead…read: she didn’t want to deliver without my Dr.
Charly was placed directly onto my chest while they checked him out. My Dr. took care of me and said she was so glad we hadn’t waited another week because he was so big. She had to rotate his shoulders to help him get out – and I’m so thankful she did, because I didn’t need any stitches. He was weighed and measured. BIG baby. I asked my Dr if she knew he was that big, and she was thinking 9lb or 9.5lb. If I had known I was going to have a 10lb baby I probably would have been freaked out. I’m sure my labor took so long because my body wasn’t ready, but I’m thankful we pushed things along since waiting any longer would have meant a very different birth. We were finally discharged at 4:00pm on Saturday. And I was beyond ready to go home. I felt like I’d been in the hospital forever. Charly had testing for his glucose levels and jaundice. His bloodtype is A+ but I’m O+ so he was jaundice and after several days of testing we had to do UV light therapy. After 2 days of at home therapy it resolved, and he’s doing awesome now! We love our (big) baby.